A Worthy Journey: Happy Birthday Miss Madi! We cannot believe you are one year old today! Wow, has the time flown by. It has been a wonderful first year. We've had our challenges and setbacks, but none of those matter. We just wanted you to know that we are so thankful and blessed to have you in our lives. You are such a joy and inspiration. Your dedication and strength, even at a year old, is absolutely amazing! Papa is right, you will change the world! We all love you so much! Wow...I guess she is one. Ciaran was in the hosp at the same time last year. 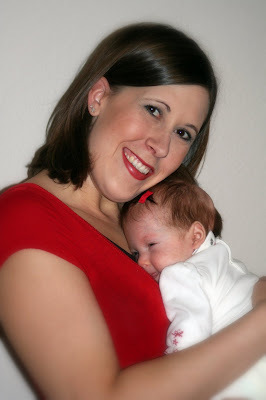 Found you through DS site, and love the picture of newborn Madi post-surgery. Brings back memories for me. :) Your girl looks so adorable. I have a question - how have you been able to carry her in a carrier? We haven't been able to find one that seems to work for our DD, who has dislocated hips. She's still small enough (20-ish lbs), and I really wish I could come up with something that supports her hips/back well.